It's been too painful to talk about until now. But it's time to deal with it. A few weeks ago, Gigantor, a magical rock iguana I have loved for 13 years, passed away. He didn't suffer. He just coughed a strange cough and left us. No pain. No drawn out illness. He just passed on to whatever comes next. I cried for a week or two, absolutely lost at the idea of my reptilian friend being forever gone. And I couldn't talk about it, except with my daughters who understood my grief. But it's time to celebrate him. Because he was a remarkable creature to care for. 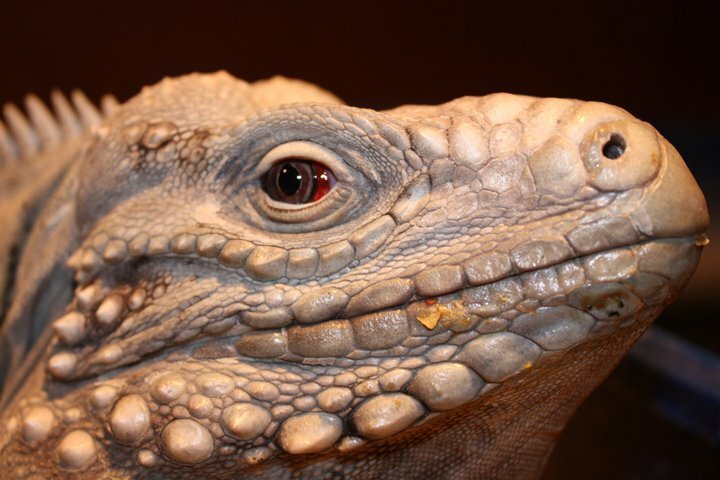 According to Nathan Alan Huston​, his previous owner, Gigantor was conceived at Busch Gardens in Florida when two purebred rock iguanas of two different species escaped and made an unexpected clutch of eggs. Because he wasn't "pure" either breed, he couldn't be sold to a zoo, so he went on the public market. I wrote to Busch Gardens and they confirmed the story. When his previous owner could not keep him, he asked my eldest daughter, Kerry Halls​ if her mother wrote about dinosaurs. She said yes, and he asked if I'd like to take Gigantor. I had him a few days later. For thirteen years, Gigantor shared my living room, like a reptilian guardian angel. He made me laugh, he made me smile, he made me better, and as odd as it sounds, I loved him. I will miss him forever, but how lucky was I to share my world with a four foot long rock iguana for 13 years? Who gets that opportunity? I love you, buddy. I hope you're climbing heavenly rocks in the great beyond with lizard spirits who love you just as much as I do. More about who Gigantor was. He was a rock iguana.-- a cross between a Grand Cayman Blue Iguana and a Cuban Iguana (photo to the left), according to Nate. The Cuban Iguana is endangered, so if Gigantor had been a purebred, some zoo would have loved to house him. I'd have given him up to that life, reluctantly, if he was. But since he was a hybrid, he's wasn't helpful to saving the species. But he was a beauty. Notice, he was not green like many iguanas you see in pet stores. That's because his natural habitat would have been rocky. He was gray to blend in with that environment. He had those beautiful red eyes, thanks to his Cuban Iguana heritage -- not thanks to some demonic influence. : ) There was NOTHING evil about Gigantor. He ate fruit and veggies. Bananas were his favorite fruit. Green beans and lettuce were his favorite vegetables. But we tried to change up his diet now and then to keep him from getting too bored. He even got lamb dog food once in a while, because big lizards sometimes eat meat in the wild. Gigantor was 24 years old when he died in the spring of 2018. I'd shared 13 of those years. He had a good life with people who truly loved him. I've posted all the pictures I could find below. He hated having his picture taken, so there are fewer than I'd like. But I hope you'll love them as much as I do. He was a really, really good boy.